1. The ICANN CCWG-Accountability Final Report (WS1)--part of the IANA Transition--was approved for publication and distribution to the CCWG Chartering Organizations for their review and approval. Read more further below*. 3. The global economic situation continued its precarious 2016 start with more concerns being raised about China's debt problems, and global monetary policies. 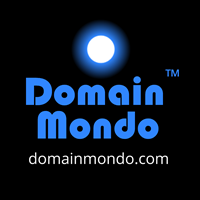 Read more on Domain Mondo at: Will the Chinese Yuan Lose 30% of its Value? Investing in China (video) and G20 Meeting in China, Mohamed El-Erian Interview, Twitter Feeds. The Final Proposal for Enhancing ICANN Accountability (WS1) was (finally!) approved by the ICANN Cross-Community Working Group (CCWG-Accountability) and distributed to Chartering Organizations for their approval by March 9th at ICANN55 in Marrakech, which would allow the ICANN Board at its meeting on March 10th, to approve and send the entire IANA Stewardship Transition Plan to NTIA for its review. What happens after the IANA Plan gets to Washington, D.C., is no slam dunk. The U.S. House Energy and Commerce Committee's Communications and Technology Subcommittee has already scheduled an IANA Transition Hearing for March 17, 2016. See also on Domain Mondo: Is ICANN's IANA Stewardship Transition Plan DOA Washington DC? (video) and US Congressman Tells ICANN CEO To 'Abandon' IANA Transition and US Senators Cruz, Lankford & Lee Demand Answers From ICANN CEO. (a) Not everyone on the CCWG-Accountability is happy about the way things went down at its last meeting on February 23rd, and five minority (dissenting) reports have been filed, including one representing 16 governments. Read more at: GAC Members Minority Statement on ICANN Accountability WS1 Proposal (post includes all 5 minority reports); and at IANA Stewardship Transition, New ICANN CCWG Accountability Timeline. There are several nightmare scenarios that could play out at ICANN55 in Marrakech. Keep an eye on the GAC (Governmental Advisory Committee) deliberations at ICANN55. Super Tuesday is March 1st, when several U.S. states hold their U.S. Presidential primary elections. Right now Hillary Clinton and Donald Trump are the front-runners to become the respective Democrat and Republican candidates for U.S President. More information on Domain Mondo's Election2016 page. ICANN55 in Marrakech will officially begin this coming Saturday, March 5th. Domain Mondo will post a page with ICANN55 info, links, and twitter feeds, prior to the start of ICANN55. Hot topics, as discussed above, will include IANA transition and ICANN accountability issues. It will also be the final meeting of current ICANN President & CEO Fadi Chehade. ICANN's selection of Meeting locations has been problematic in 2016. On February 5th, ICANN announced that due to the severity of the Zika Virus outbreak in the Latin America region, ICANN56 would be relocated from Panama (alternate location still TBD). ICANN55 has had to contend with security issues, see ICANN 55, Marrakech, Morocco: Travel Warnings, Threat of Terrorist Acts. If you are traveling to Marrakech, you may want to read An Informed Traveler Is a Safer Traveler - The New York Times. Final Note: Don't miss Domain Mondo's earlier post this week Klarna [klarna.com]: Buy Things With Just Email and Zip Code (video).